A DEFICIENCY IN THIS CRITICAL nutrient makes you twice as likely to die as other people, according to a study published in The Journal of Intensive Care Medicine. (i) It also accounts for a long list of symptoms and diseases — which are easily helped and often cured by adding this nutrient. In fact, in my practice, this nutrient is one of my secret weapons against illness. Yet up to half of Americans are deficient in this nutrient and don’t know it. You can order both magnesium citrate and magnesium glycinate in my online store. 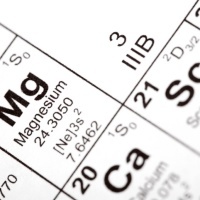 People with kidney disease or severe heart disease should take magnesium only under a doctor’s supervision. Do you suffer from any of the symptoms I’ve mentioned?